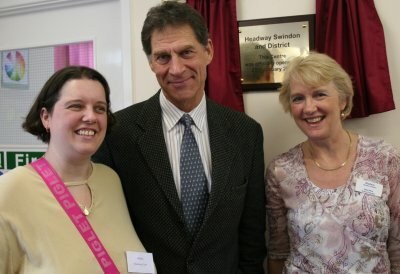 We're used to seeing Simon MacCorkindale as Harry Harper on BBC's TV drama Casualty, but today he took time out of his busy filming schedule to open a new centre for the Headway brain injuries charity. The new premises in upper-Stratton will allow staff the time and resources to give better care for Swindon people who are recovering from serious head injuries and brain damage. 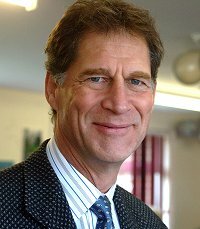 The centre is run by Headway Swindon and District, part of the national brain injury association. Manager Alison Burton, said: “Brain injury can have devastating effects on peoples lives. It can challenge every aspect of you walking, talking, thinking and feeling, and it can mean losing the life you once led and the person you once were. And it is because of the support of so many local nurses, carers and volunteers that the Headway clinic can make such a difference to peoples lives.